I finally took down the the three framed Il Piccolo Principe calendar pages from my little girl's room. Since each one was in a 14 by 14 frame, I needed something pretty big for the space. Fortunately, I found this gigantic 28 by 28 frame at Goodwill for five dollars and had my husband spray paint it. 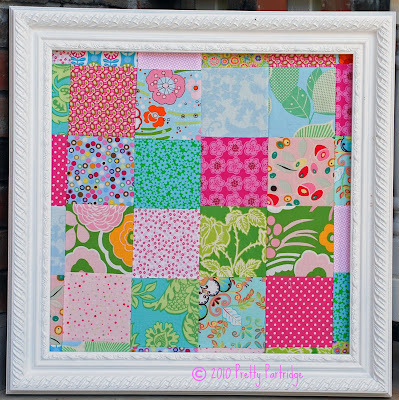 I took a bunch of five by five fabric squares (cut out while watching Hidden Palms on Netflix) and sewed them together. It doesn't have to be perfect -- you can see how mine aren't lined up. I don't know how you quilter peeps do it. Anyway, I wrapped the finished squares around a piece of stuff that is similar to corkboard that my husband fished out of the garbage, but you could use foamboard or a recycled bulletin board too. I had to nail it into the frame, but it turned out pretty good, I think. After we get it hung up, I'll post a picture. PS -- Thanks for your encouragement Lizzie. You're the best! What little kid doesn't love getting mail? Here's something fun to send to a kid you know. Grab all your paper punches (or scissors!) 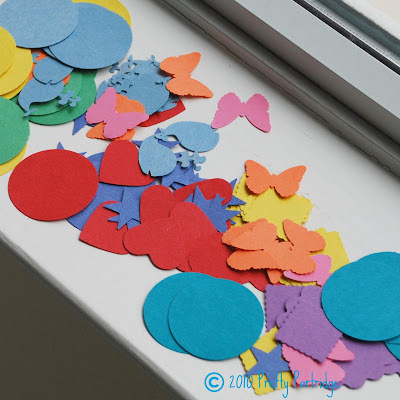 and cut out a bunch of shapes from construction paper, scraps or even pretty junk mail or magazine ads. 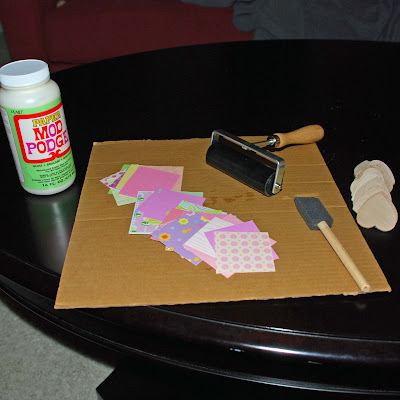 Put it all in a card and envelope with instruction that the punch-outs and stickers can be used to make a collage. This may seem like a mundane idea, but the reason I'm sharing it is because of what occurred at our house on Monday. While making an envelope of punch-outs for a friend's little boy, I gave my constant-activity-needing, bored-by-stuff-in-five-minutes, almost-three-year-old toddler some of the punch-outs and a non-toxic glue stick to make her own collages. No exaggeration, it kept her busy for nearly an hour. It was like a miracle. 1. Start by lightly sanding and painting your frame, front and back. 2. Once paint dries, coat frame with Mod Podge (I like the hard coat version for this project) and acrylic sealer if desired. Let all of that dry overnight. 2. 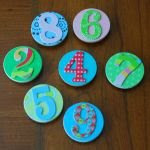 For the embellishments, you'll take fabric scraps and make some yo-yos. All you need is a circle template for cutting your fabric, a needle and some thread (embroidery thread works really well). There are LOTS of free tutorials on the internet showing how to make a yo-yo. Here is one I like; and here and here. And you don't need to invest in one of those plastic yo-yo templates that are sold at quilting shops unless you want to. I took a 5.5-inch diameter spool of ribbon and used that to trace circles onto fabric scraps with a disappearing ink fabric marker, which I then cut out. 3. Attach the yo-yos to the frame with hot glue. And there you have it! PS -- If you use the $1 Michael's frame, you should know that it doesn't have a glass or plastic insert to cover the photo! Well, I guess for $1 I shouldn't have been surprised. I'll probably salvage something from an unused frame. We have been sickly this week, and none of us feels like doing anything very Valentine-y today. But the day is all about spending time together, and I'm happy that we are able to snuggle up and watch some Olympics (for those who don't know me, I am an Olympics-o-holic . . .). I hope you have a lovely Valentine's Day and enjoy lots of sweet treats. The lovely Shari from Rotten Bananas is an amazingly talented professional quilter. Visit her Red Llama Studio to see the amazing custom quilts she has created. Then, stop by her blog for fun stories, craft ideas and inspiration. Hurry -- because Friday she will be giving away one of these awesome bags! Simply visit Shari's blog to enter. Valentine's Day is sneaking up on us! I know it's overly-commercialized, but it's hard not to like a holiday that's all about LOVE, right? For the headband "flower," I wanted to do a sort of "inverted" yo-yo. To make one, just cut a long strip of fabric and sew up one side with a long basting stitch -- it will pretty much just gather itself. 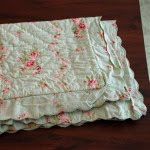 Pull the threads a little to cinch it some more and then just sew the ends together on the sewing machine. 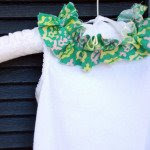 For the middle, use a regular button or one covered in the same fabric, and then sewed the "flower" part to the button (or the shank of a covered button) with needle and thread. Attach the flower to the headband with hot glue (like I did) or your preferred method. By the way, I got the headband (part of a set of six) as the Claire's Boutique Outlet for not too much. I guess you can find supplies for your crafty obsession just about anywhere. Also that cool corduroy skirt with the tulle pettiskirt is from Target! $10! And it looks like it will still fit next year. I love that place. 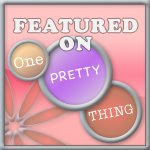 Head over to One Pretty Thing for more Valentine's ideas. You can select the "Valentine's Round-up" category from the drop down menu, check the box for "only show similar posts" and then scroll back through all Rachel's previous Valentine's day roundups. Also, check out this amazing wreath that artist Alisa Burke made out of junk mail. Now THAT is serious talent and creativity. Amazing! You know how stores put all the "home organization" stuff on sale in January? Turns out they also put a lot of cleaning supplies on sale or excellent coupons. That's how I came to purchase this basil-scented Mrs. Meyer's counter spray. As it turns out, I liked it so much that I have to run out and buy a bunch before the markdown ends. Besides being chemical-free, it smells awesome (like a fresh salad) and it really bubbles up so you don't have to use that much to get everything clean. You should be able to find this at most grocery stores and some Targets and online. I also love this broccoli slaw. There are other brands, but this Mann's is my favorite of several I've tried. Its a combination of about 95 percent shredded broccoli, with some shredded carrots and purple cabbage. I love it for two reason. First, broccoli is a superfood, but I don't really love eating it the traditional way. So I use this instead of lettuce as the base for a salad and just put on my favorite toppings and dressing. Yum. Second, I put about 1/3 cup in a bowl, cut it into bite-sized pieces with scissors, mix in about a teaspoon of low-fat Ranch dressing and, voila, a healthy green veggie that your toddler will actually eat. You can print a $.55 coupon here. The last thing I tried recently is the Teas' Tea brand of teas. I prefer the gigantic bottle of Jasmine Green tea, but I can only find it at Target. I love this tea. It's unsweetened green tea, which is so good for you, but it actually tastes good. It really all comes down to how much you want to spend. It is obviously a lot cheaper to buy green tea bags and make your own, but if you are willing to part with about $5 (yes, $5), you can have a big jug of this stuff. I just buy one every once in a while as a special treat. Here's a little crafty something you can whip up while watching TV (tell me again how I got sucked into The Bachelor after swearing never to watch again?). 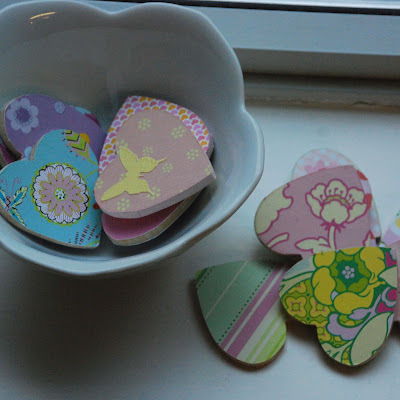 I made these wood, paper and Mod Podge hearts for my little almost-three-year-old because she loves to sort and arrange things like this and also to pick out again and again which ones are her "favorites." I'll probably present them in a cellophane bag tied with ribbon. 1. 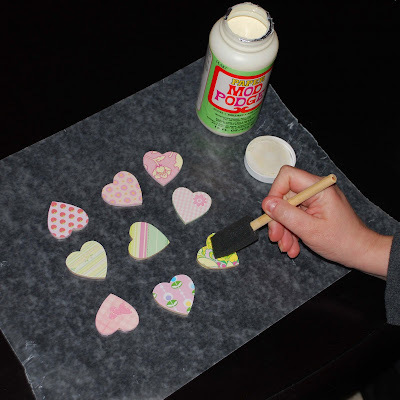 Cover the front of a heart with a THIN coat of Mod Podge. Not too thick or it will ooze out onto the paper and you'll have to cut it later. 2. Press the heart glue side down onto the wrong side of a paper scrap. Press gently and evenly until the paper is stuck smoothly to the heart. You can flip it over and roll it with a brayer if you like, but it's probably unnecessary. I only used brayer on two or three before I got tired of messing with it. Let dry. 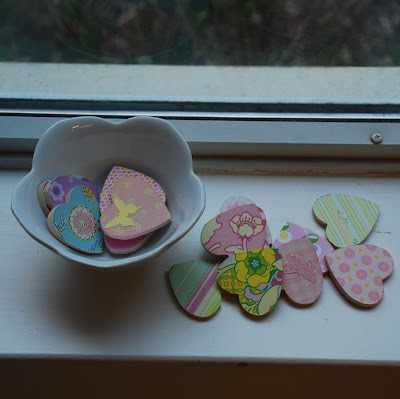 I suggest making these hearts assembly-line style, which gives each side time to dry. By the time you finish gluing the last heart, the first will be dry and ready for step 3. 3. Once dry, place on self-healing mat and use your craft knife to trace around the heart and cut away the excess paper. By the way, the wood is soft. If you get to close like I did a bunch of times, you will end up shaving off some wood. If you're okay with that, get as close as you want. 4. Repeat the paper gluing process for the other side of the heart. 5. Once all your hearts are covered in paper, gently sand the edges to remove any last bits of paper. 6. Carefully cover the edges of the hearts with coordnating ink, paint, etc. The reason I didn't do this before applying the paper (which probably would have been easier) is because of the wood shaving issue described above, requiring you to re-ink/paint/etc. You can also use distressing ink at this point if you like that look. 7. Once the ink is dry, lay your hearts out on a sheet of wax paper. 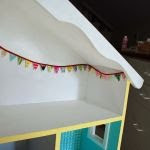 Brush top and sides with a thin coat of Mod Podge. When dry, flip the hearts over and brush Mod Podge on the back. And you're done! You could also get a teeny bit and drill a hole at the top to make a necklace. Thanks for stopping by! Have a great rest of the week! 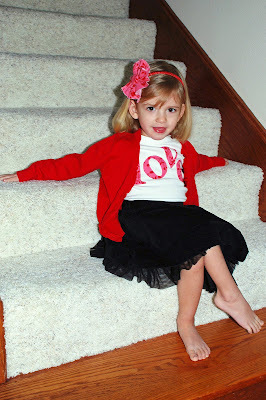 Have you been looking at all the amazing Valentine's Day ideas in the blog world? Between stuff to eat, greeting cards, gifts, stuff to wear and decorations, it's overwhelming. So far the only thing I've made is this teeshirt for my little girl (sorry for the hideous lighting) using this tutorial. I liked it so much I'm considering making one for myself. I have an idea for a little wreath and some baked goods, so now I have to find some time to get them done. Some other Valentine's ideas I really like are: Bakerella's chocolate-covered red velvet cakeballs here, the Purl Bee's fabric window Valentine cards here, the Gaines Gang's fancy red burlap LOVE wreath here and Maya Made's paper heart flower bouquet here! 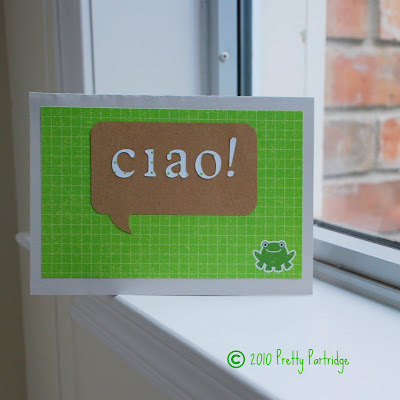 And I love these free printable cards from Rubber Punkin. And here is a Valentine's-themed giveaway at Fabulous Finds. XOXO to all. 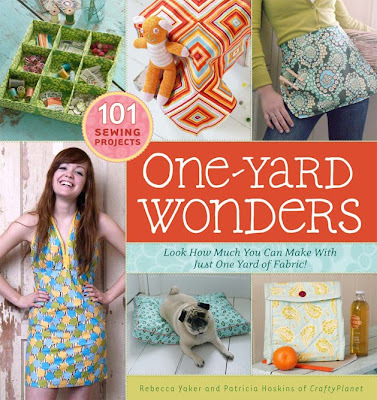 I would really like to win the One Yard Wonders book that Jaime & Jacinda from Prudent Baby are giving away. BUT if I can't win, I'd really like you to win! So go enter. Drawing closes Monday night. Good luck! Oh how I love paper. Any kind of paper. Scrapbook paper, origami paper, handmade paper, cardstock, you name it. I keep most of it in a drawer in the built-in island I mentioned yesterday. 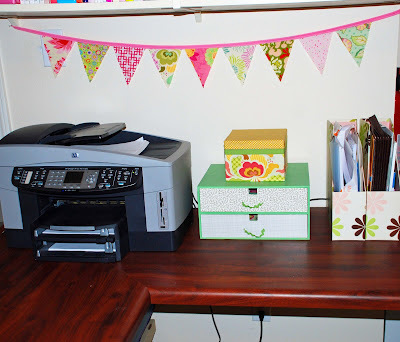 My favorite scrapbook paper has come from Michael's or Hobby Lobby, but I also have some Martha Stewart Crafts paper from Wal-Mart that I love. I get pads instead of individual sheets because I just can't see paying $.60 or more for a sheet, even when they are marked down. And I have to completely avoid scrapbooking stores for the same reason. I also keep cardstock in this drawer. I have lots of white cardstock that I use to print out all the wonderful free downloads from the internet, but I have some other colors too that I use for cards, etc. This drawer has card-making stuff, as well as stationery. The stationery sets, including those awesome Marimekko notecards, were received as gifts. A wonderful gift if you ask me. There is also a stack of blank cards and envelopes purchased from Target (store brand) for 75 percent off. The quality of the paper is excellent, and you can just slap a printed out photo on the front and have an instant card. Awesome for keeping up with grandparents. There are also some blank cards from the Target dollar spot before I imposed a moratorium on visiting that particular aisle. Way in the back is a box of blank little notecards and envelopes I got from Kate's Paperie in NYC. All you have to do is punch a design in the corner or at the top of one of these babies (or stick on a sticker or stamp something on the card) and you have an instant cute notecard. I've seen similar sets at Target from time to time. Here is our all-in-one color printer, which we also use for work. The magazine files on the right have regular printer paper, white cardstock and Avery label sheets for printing address labels. Last but not least, in this out of the way drawer I keep scrap cardboard, such as the backs off of scrapbook paper pads, inserts from kids' toys, cut up cereal boxes, etc. 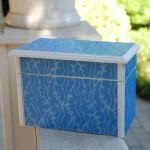 You can cut or punch it and use it like chipboard (instead of having to buy chipboard). I also use it to make templates for fabric appliques. Then you can use them over and over again without having to make a new pattern everytime. Come back tomorrow for some more stash! Off to watch the premiere of Project Runway -- woo! The adorable and talented Becca from Naptime Journal is giving away this super-cute owl on her blog. Head over there between now and Sunday, January 17, to enter. While you are there, check out all her clever projects and tutorials. She also has an Etsy shop with lots more owl-y cuteness. Good luck!! !